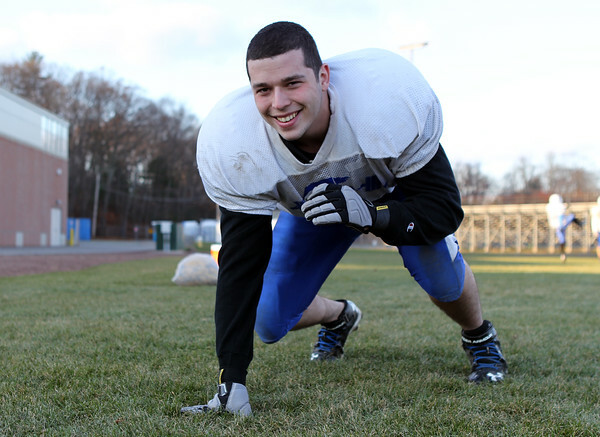 Danvers senior defensive lineman Dan Cote will try and help the Falcons bring home a Thanksgiving Day win over rival Gloucester. DAVID LE/Staff photo. 11/21/14.